The UK renewable program has almost certainly helped to alleviate some of the electricity supply issues to be faced in the coming years. Other initiatives created to reduce energy consumption such as ESOS (energy saving obligation scheme) have seen a very poor take-up (less than 150 firms to date) with new penalty dates recently announced. You can almost hear UPS sales and marketing managers chattering with delight. Gone are the days when you had to convince someone that they needed an uninterruptible power supply or generator. Today, they’re a given and a tough winter has its rewards for them and anyone in the power protection industry. Aside from new generating plant, the other weakness within the UK grid is energy storage and delivery to the needed point of use. There is more than enough power generation capacity to meet ‘normal’ demand from existing power generation stations and renewable installations, and with additional imports from France and Eire. Thankfully, the last government started the renewables revolution, admittedly with overly attractive feed-in-tariffs. For the National Grid this has led to high-density pockets of renewable power installations that can cause supply stability and voltage issues, transients and harmonics. We’ve all read the stories of wind turbines being powered down during gusty weather because their excess energy could not be stored and had the potential to destabilise the grid. Energy storage is also currently a major weakness within solar PV installations (whether domestic, commercial or solar-farm). The majority of solar PV installation are South West and South East based with both on-shore and off-shore wind turbines spread around the UK. It was Nikola Tesla, in the early 1890s whilst working for Westinghouse, who established the principles of three-phase high voltage electrical power distribution. In the UK it was Charles Merz who applied Tesla’s work that led to the building of the Neptune Bank Power Station, Newcastle-upon-Tyne. Whilst this opened in 1901 the UK retained a very fragmented electrical supply network. In 1925, Lord Weir was tasked to find a solution and his report led to the 1926 Electricity (Supply) Act. This called for the establishment of a synchronized ‘national gridiron’ system (at 132kV, 50Hz) managed by a Central Electricity Board. The supply system began operating in 1933 as a series of regional grids with auxiliary connections for emergency use. By 1938 the grid was operating nationally, in part thanks to short-term paralleling at night of the regional grids by engineers. In 1947 the grid was nationalized by the Electricity Act 1947 which also created the British Electricity Authority and the grid upgraded to 275kV. In the mid 1960s, the grid was again uprated (to 400kV) to meet future demands. The UK grid was originally designed to operate with coal and gas fired power stations and a small number of injection points. The power stations were situated in areas with good supplies of fuel (coal/gas) and cooling (water) and connections to the grid, allowing generated electricity to be delivered to its points of use. Nuclear was introduced in 1956 with the first operational plant at Calder Hall, Sellafield and as a byproduct of weapons-grade material production. Today, it is to the National Grid that responsibility falls for power availability in the UK through short-term contracting with power stations and a range of programs that it can use to regulate and compensate for demand changes. One of the biggest issues for the National Grid is to maintain the AC (alternating current) supply frequency within 50Hz +/-1%. This will rise as demand falls and reduce as demand rises. 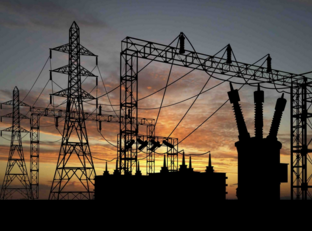 The National Grid has a number of options to stabilize frequency on a second-by-second basis. The most interesting of these for generator owners (including datacentres) is the Short Term Operating Reserve. Here generation of at least 3MW is required which can come from a single source or be made up of from an aggregate supply, within four hours of instruction and maintained for at least two hours. Owners are paid an annual connection fee and feed-in-type tariff when their generators are used. They have to option to decline a request to connect. Whilst generators (and uninterruptible power supplies) have always been sold on the basis of mitigating ‘risk’, new applications within a ‘smart grid’ and STOR type programs place a more positive ‘investment’ secondary role and focus. UPS systems within such a setup could act as energy storage systems but only if their batteries are suitable for multiple charge/discharge cycles. The typical UPS battery is a sealed lead acid type used in a standby mode. The battery will have a design life (typically five year or 10 years) and working life (3-4 and 7-8 years respectively) tied to a number of charge/discharge cycles and ambient temperatures. To operate within a STOR-type setup a lithium-ion battery is more appropriate. This is similar to the type used within smart devices and electric vehicles. Not only can lithium-ion recharge quicker but also it can cycle many more times with a typical working life in an electrical vehicle forecast around 8-10 years. The US Company, Tesla, is one of the world’s leading electric vehicle manufacturers and is about to revolutionise energy storage with implications for the utility and building control industries. Tesla is also investigating how to use its battery and management systems technologies to support national grids and prevent power disruptions from disturbing operations within buildings. These can range from domestic to corporate offices, IT facilities and datacentres. Within each Tesla vehicle is a lithium-ion battery pack that Tesla can get 300miles from for its model ‘S’ four-door sports saloon or model ‘X’ SUV. Thanks to Tesla rapid recharging stations (that you can now see at some UK motorway services) a recharge to 80% within 2hours is possible. It is the design, manufacture and management of this particular-type of battery pack that gives Tesla the foundation for its energy storage products. Powerwall is the Tesla product designed for home and small office application. The principle of operation is use a lithium-ion battery pack to store energy (charge) from a solar PV installation or a connected electrical supply (overnight when electricity is on a low tariff) and then to use this to power systems within the building when the electricity tariff is high or during a power cut. Tesla also uses the same battery technology for its grid-scale utility products. These use 100kWh battery blocks that can be grouped to scale from 500kWh to 10MWh and provide 2hour and 4hour continuous net discharge using grid-tied bi-directional inverters. Tesla utility energy products can help to stabiles grid power when generating stations are ramping up or down, manage peak demand (deploying within milliseconds), store excess energy from renewable generation and improve overall power quality. A Tesla battery pack is not a complete uninterruptible power supply, but more the first two-thirds (charger management system and battery). The installation also requires a separate DC to AC inverter (the last third of a UPS system). It is possible to install a complete UPS system with a lithium-ion pack now but the costs of lithium-ion batteries have so far been too prohibitive; almost by a factor of five to six times that of a more traditional lead-acid battery set. Tesla is following a vertical integration strategy very similar to that of Henry Ford when he started the Ford Motor Company. The company has recently announced plans for a Giga Factory to solely produce its own lithium-ion batteries. Not only will this give Tesla control of its battery component supply but also the chance to drive down the cost of lithium-ion batteries and therefore reduce the cost of its electric vehicles and energy storage products. The goal is to drive down the cost of lithium-ion batteries by 30% within three years and 50% by 2020. Tesla’s overall strategic aim is to become a major automobile force and place its electric vehicles within easy reach of mass-market drivers. By investing to reach this strategy, the company could also transform national grids using its battery packs for frequency regulation and peak power substitution. The day may come where Tesla has enough electric vehicles in the market to allow them to play their own STOR and peak power distribution roles. Why not? If your car is parked up why not let Tesla sell its power into the grid and earn you some extra revenue. If you have a sufficiently large enough industrial or datacentre UPS (several hundred kVA) and a suitable lithium-ion battery and standby power generator, why not allow limited discharge into a national grid and generate a self-funding income?